VANCOUVER, BC – On Tuesday the 9th of May, one of the greatest concert pianists in the world was invited by the Vancouver Symphony Orchestra to perform a solo recital at the Orpheum Theatre. 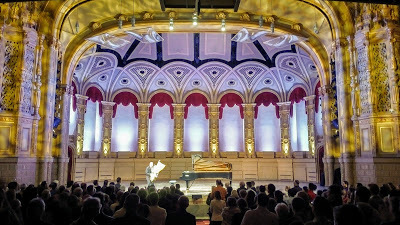 International concert pianist Louis Lortie chose to perform on a Fazioli Concert Grand piano. 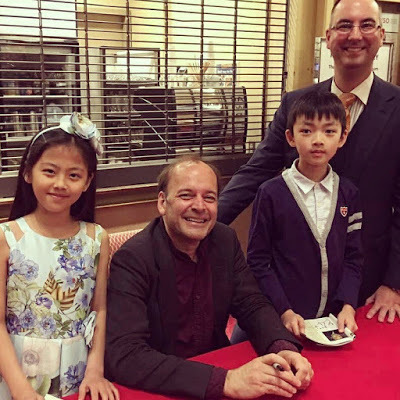 After the concert Lortie signed autographs for members of the audience, including young prodigies Isabelle Xin-Yi Wang and Ray Zhang.